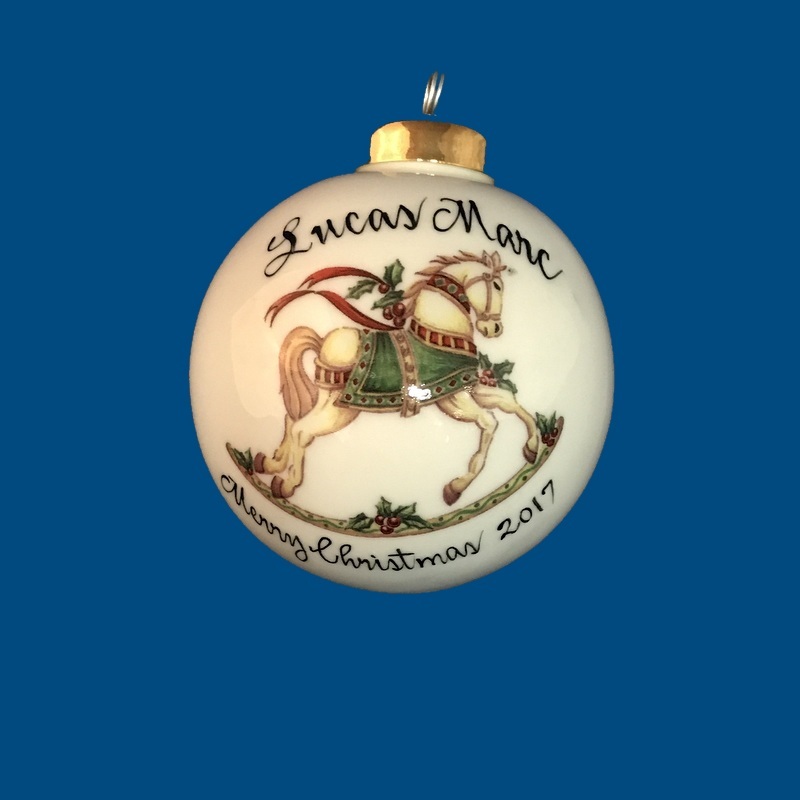 Our hand painted personalized 2 1/2" Christmas ball with rocking horse design is a unique Christmas tree ornament. You can have an individual or family name personalized on front along with a holiday message, such as "Merry Christmas 2018." A short personal message can be hand painted on the back. For example, With love, Grandma." This porcelain Christmas ball is a Painted Name exclusive and will be a forever keepsake. A gift box with tulle ribbon and enclosure card is complimentary with your purchase. ©2019 https://www.tpnpersonalizedgifts.com. All rights reserved. Powered by Shoppe Pro. Need a gift idea? Personalized gifts of porcelain hand painted just for you. The perfect baby gift, birthday gift, wedding gift, anniversary gift, and holiday gift. Our piggy bank with baby names is a top seller.